Tema en 'Ebooks & Tutoriales' comenzado por arnoldswait, 21 de Septiembre de 2014. Aquatic enigma. The world's energy was limited...and with overpopuation and a high level of technology, the Power Board had virtually become the real government of the world. Power was rationed, it was guarded, it was sacred. Thus when three of the Power Board's agents disappeared at sea, and there was evidence that something irregular was happening to the energy quota in that area, it was cause for real alarm. 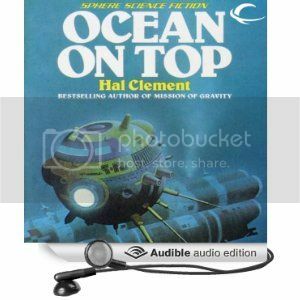 OCEAN ON TOP is a brilliant - and different - novel of hard science and high suspense at the bottom of the sea. Written by the author of NEEDLE and MISSION OF GRAVITY, it is a vision of the century to come when the ocean floor may be our last frontier.